M/Y SECRET LIFE is a classic 45,16m (148' 1") feadship motor yacht built in 1974. 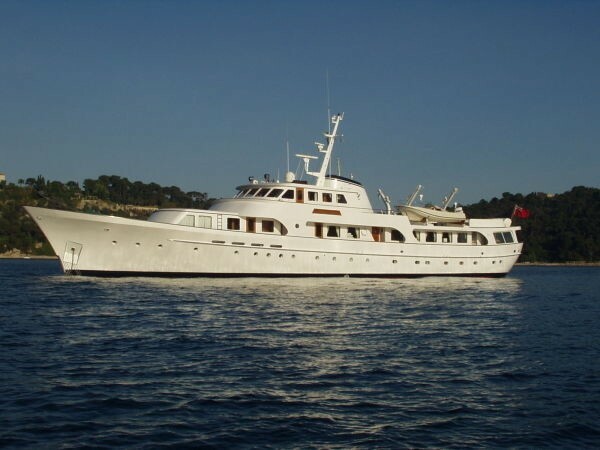 The yacht has had several refits, can accommodate 12 guests and is a great yacht for both private charters and corporate functions. 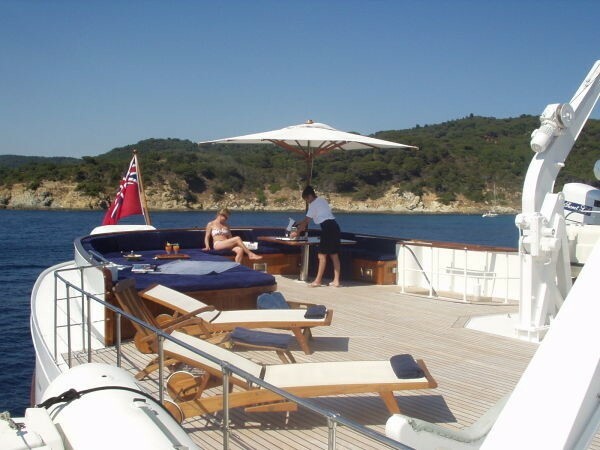 The yacht is based in the Western Mediterranean year round. SECRET LIFE is a classic, elegant and refined motor yacht with a great history and reputation. 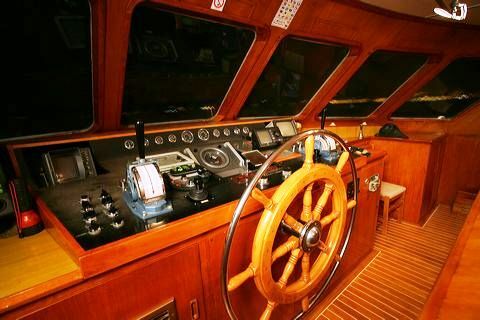 She is a seaworthy vessel with a great motion at sea and great stability at anchor. 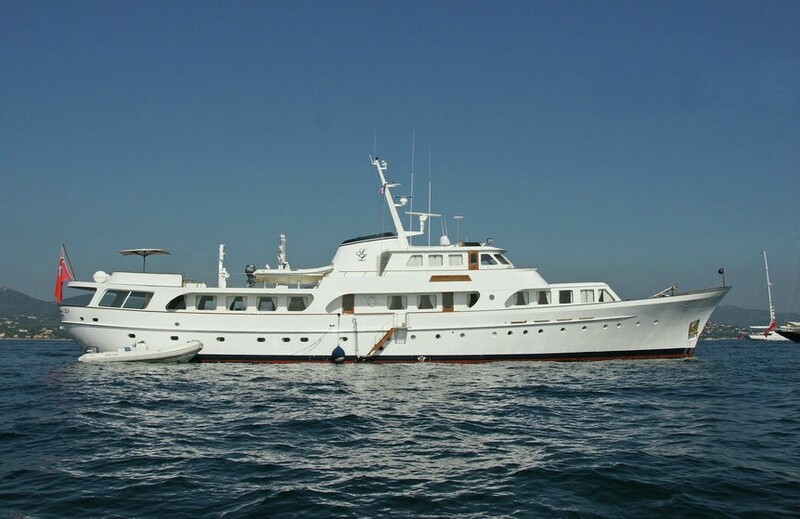 She also has a long range which makes her the ideal yacht for cruising the Med with no need to stop and refuel. 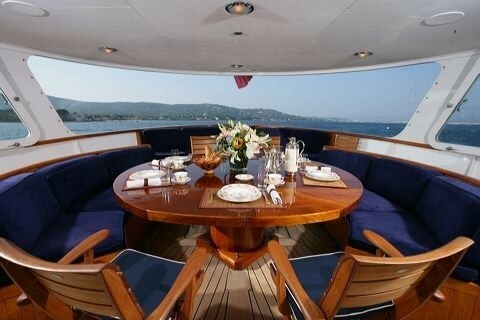 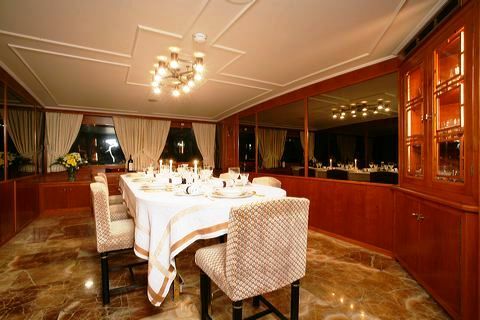 The yacht boasts vast deck spaces perfect for enjoying the Mediterranean sun or corporate functions. 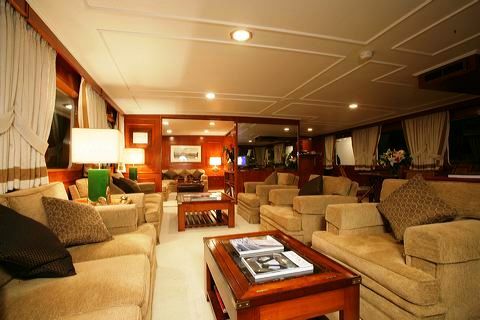 Her spacious saloon with big opening windows can be divided into 2 separate rooms with a sliding door, which can be beneficial for event charters. 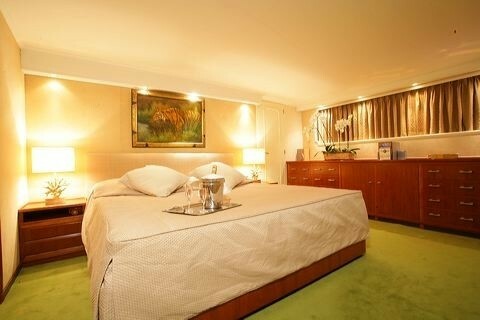 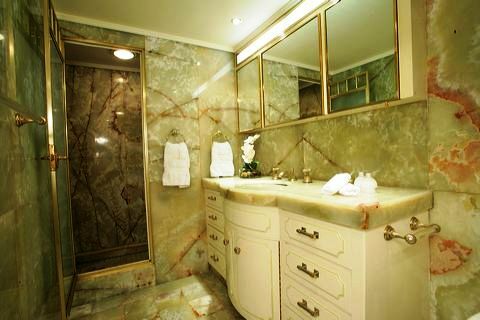 She also has a quiet library, and comfortable ensuite staterooms. 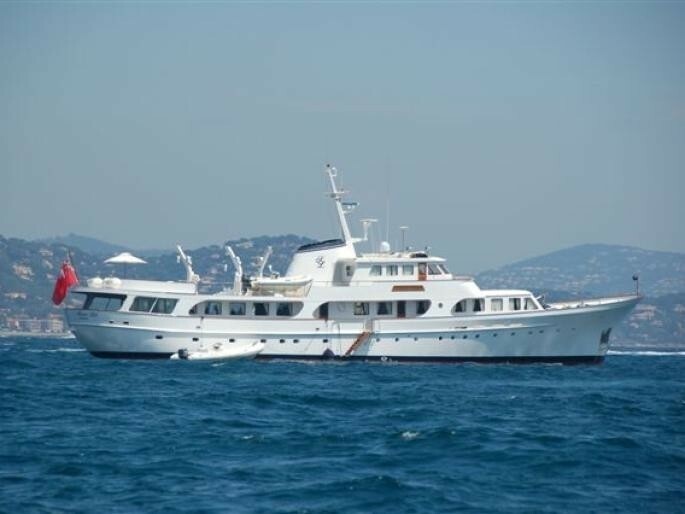 The yacht has undergone several refits including new inside carpet, and a paint job outside the yacht in 2009, a New tender (22ft Nautica 200hp), new Satellite TV, bigger flat screen TV in the master cabin, new water maker (800litres/hour) in 2008 and in 2005 she received a complete multi-million dollar exterior refit. Works include new sundeck arrangement with an extension of 19m2 with large sunbeds,, new exterior paint, and teak work. 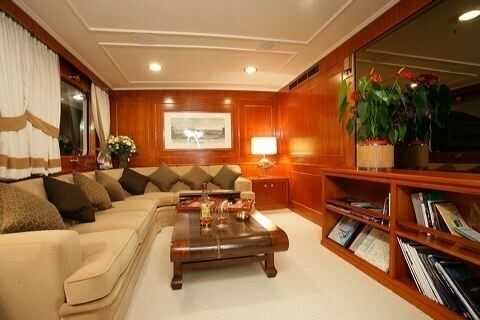 They have also added sound proof generator, overhauled the tanks, engines, pipes and steel plate. 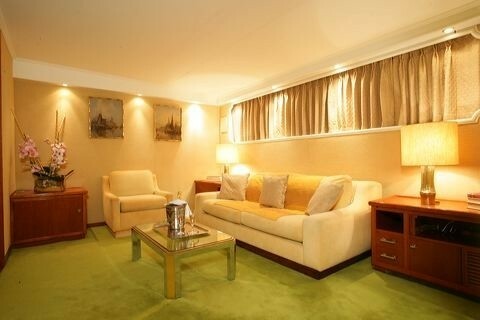 They have also successfully concluded the 5 year ABS classification. 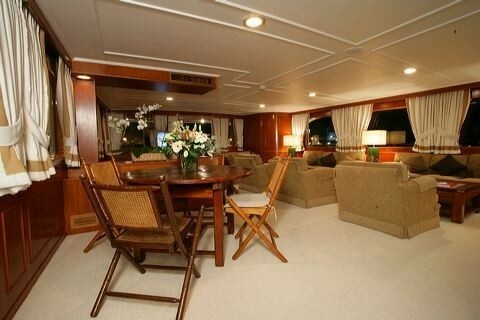 The main deck, main saloon and VIP cabin have new carpet. 2002 Complete interior refit and total exterior paint, updating all equipments, new electronic and MCA classification. SECRET LIFE has an experienced crew of 10. 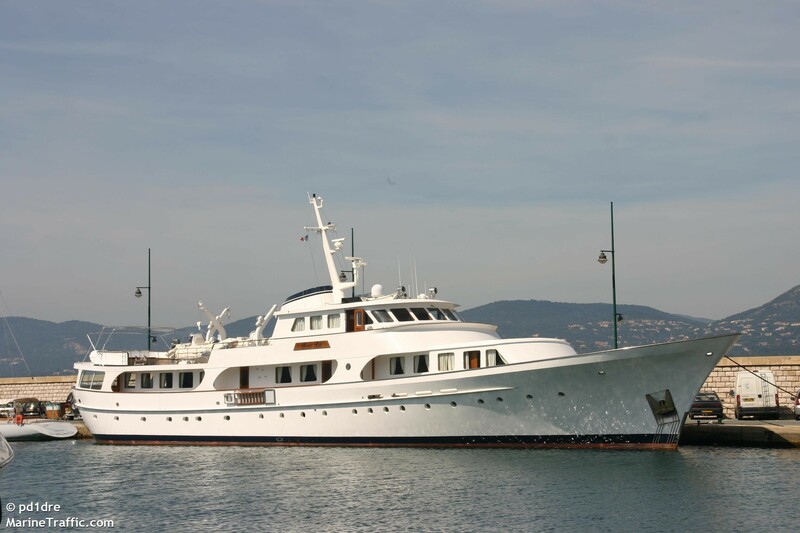 Ask us about her availability for events such as the Monaco Grand Prix, Cannes film Festival or the MIPIM. 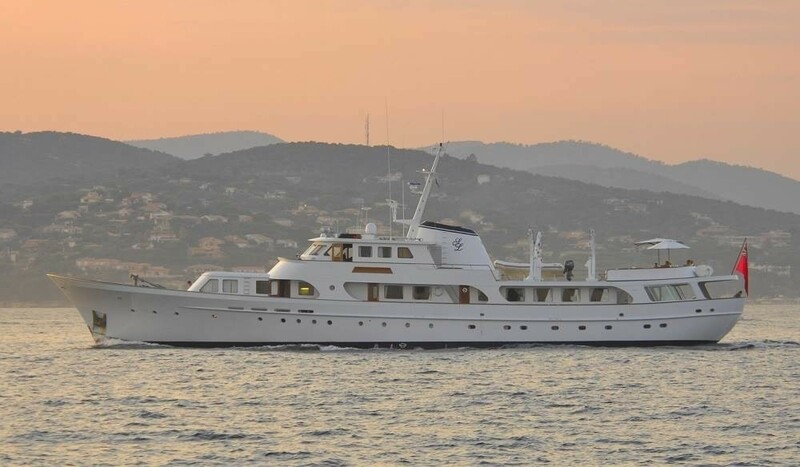 The Feadship SECRET LIFE can accommodate up to 12 guests sleeping overnight and cruising. Her Master cabin has a California king bed measuring 2m and is full width of the beam amidship, located on the lower deck. 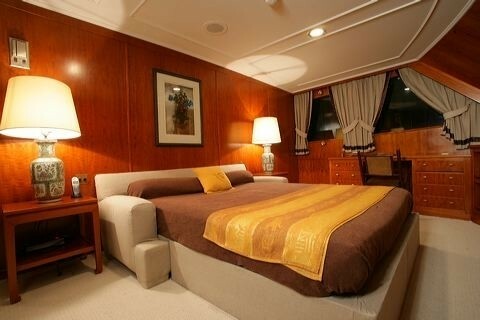 In the master suite there is a settee that can convert into a double bed (measuring 1,40m), which is where the 12th guests on board would sleep. 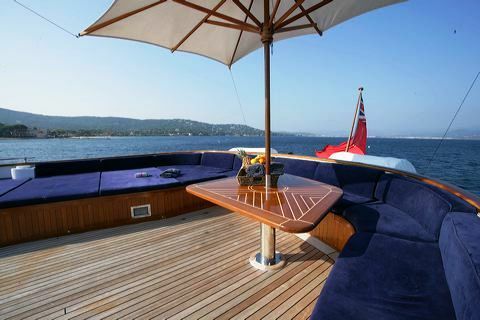 The convertible settee area can be separated from the master cabin with a sliding door. 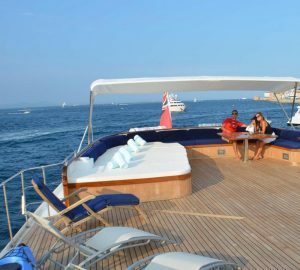 The yachts VIP double cabin has a 1,60m Queen bed and is located on the main deck forward, which can also transform into a cosy salon. 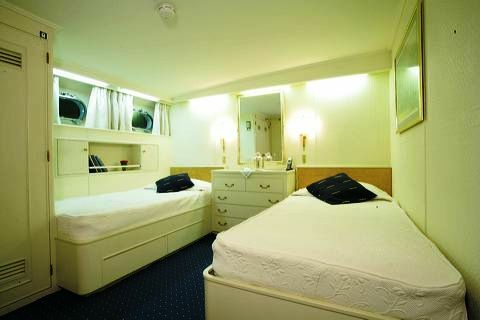 The three twin cabins are located on the lower deck and all cabins are equipped with ensuite facilities, a fridge and LCD TV with DVD and CD player.